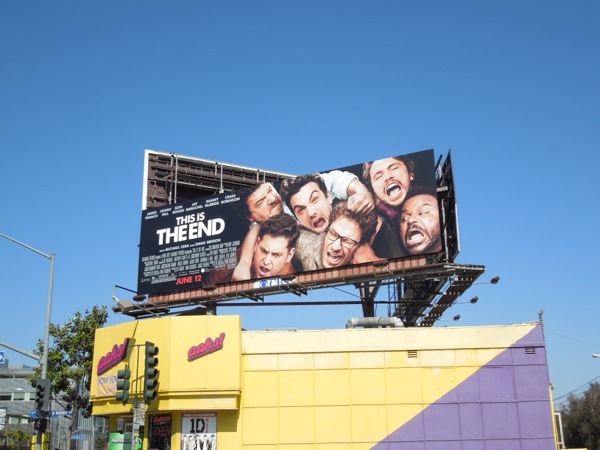 How many funny guys can you fit on to a billboard? 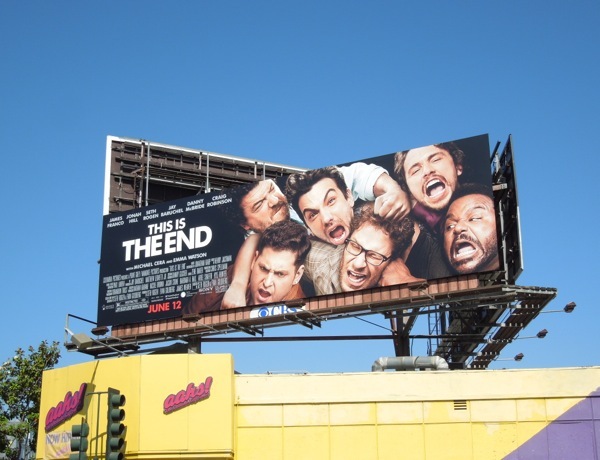 Apparently this many, for the new comedy This Is The End. 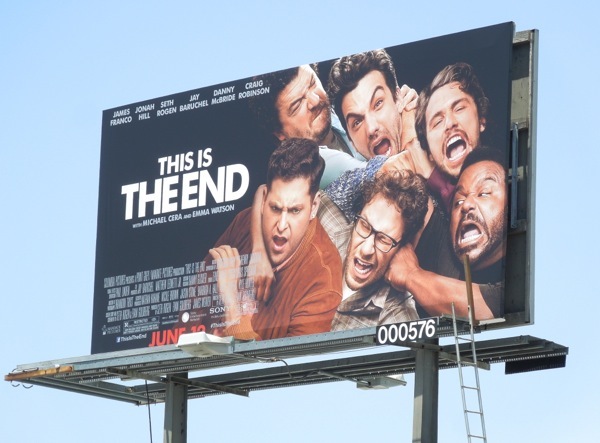 With this many comedians squeezed into one movie this may very well be the end of the world. 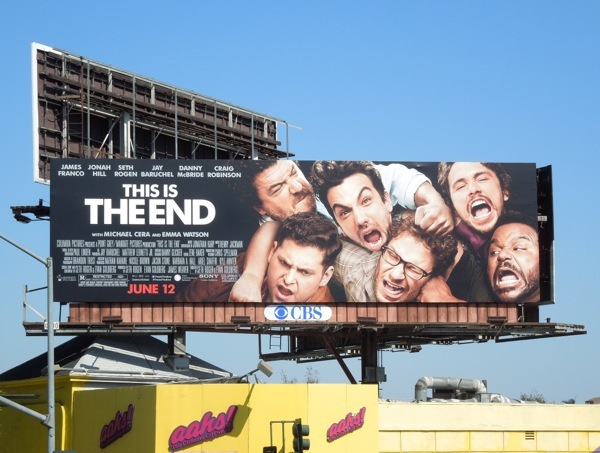 While attending James Franco's Hollywood house party, Seth Rogen, Jay Baruchel, Jonah Hill, Craig Robinson, Danny McBride and more famous celebrities are faced with the apocalypse. 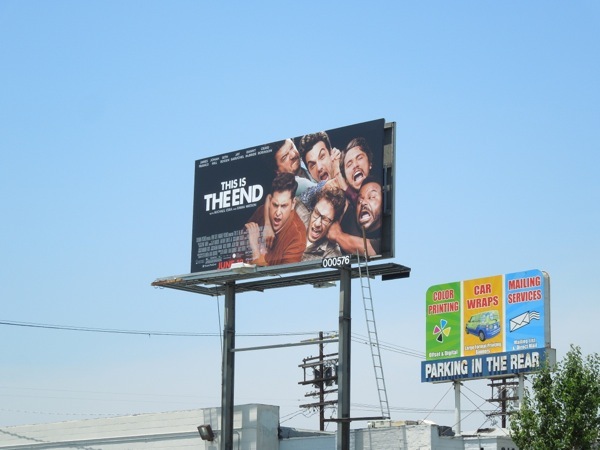 These funny billboards was snapped along Sunset Boulevard and Highland Avenue on May 31, 2013. And remember, nothing ruins (or makes?) 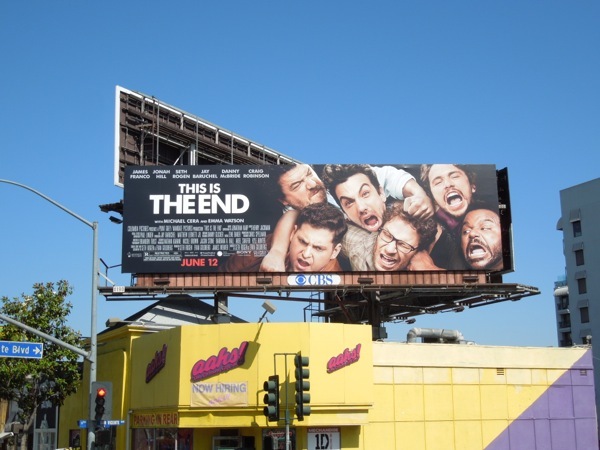 a party like an apocalypse.